The Wood Duck is one of the most stunningly pretty of all waterfowl. Males are iridescent chestnut and green, with ornate patterns on nearly every feather. The elegant females have a distinctive profile and delicate white pattern around the eye. These birds live in wooded swamps, where they nest in holes in trees or in nest boxes put up around lake margins. They are one of the few duck species equipped with strong claws that can grip bark and perch on branches. 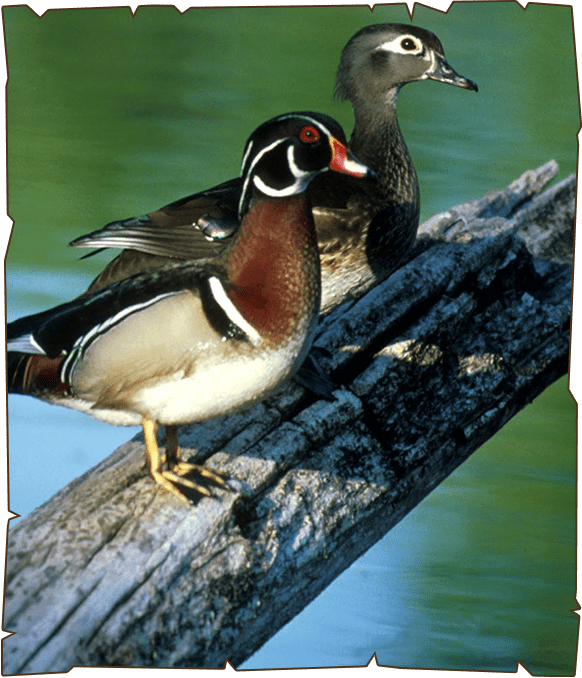 The Wood duck breeds from British Columbia south to California, and from Montana east to Nova Scotia and south to Texas and Florida.